Gone and nearly forgotten in extinction, the Labrador Duck, the Great Auk, the Heath Hen, the Carolina Parakeet, and the Passenger Pigeon leave holes not just in the North American landscape but in our collective memories. Moved by their stories, sculptor Todd McGrain set out to create memorials to the lost birds—to bring their vanished forms back into the world. The Lost Bird Project follows the road-trip that McGrain and his brother-in-law, Andy Stern, take as they search for the locations where the birds were last seen in the wild and negotiate for permission to install McGrain’s large bronze sculptures there. The film is directed by Deborah Dickson, whose previous films have been nominated three times for Oscars, and is produced by Muffie Meyer, whose previous directing credits include the original Grey Gardens documentary and several Emmy award-winning documentaries. The score, composed by Grammy-winner Christopher Tin, is a stirring tone-poem for chamber orchestra, evoking the majesty of these flocks of birds, and the pathos of their eventual demise. 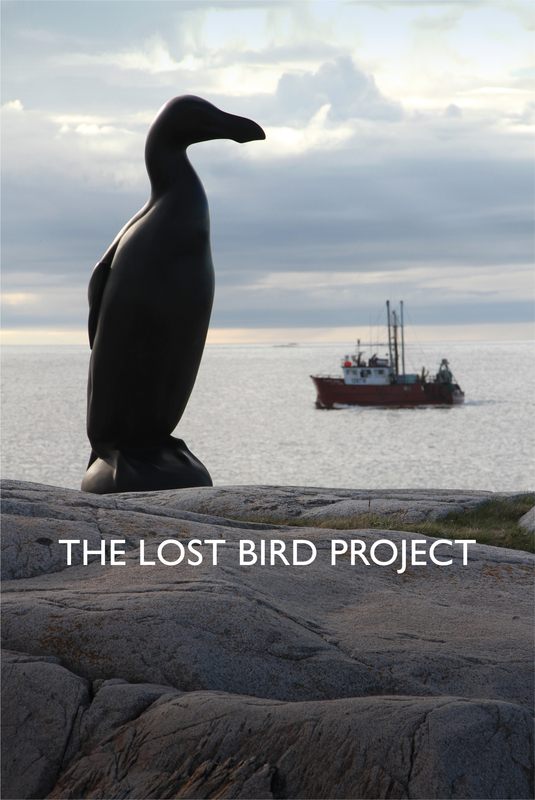 The Lost Bird Project is a film about public art, extinction and memory. It is an elegy to five extinct North American birds and a thoughtful, moving, sometimes humorous look at the artist and his mission.